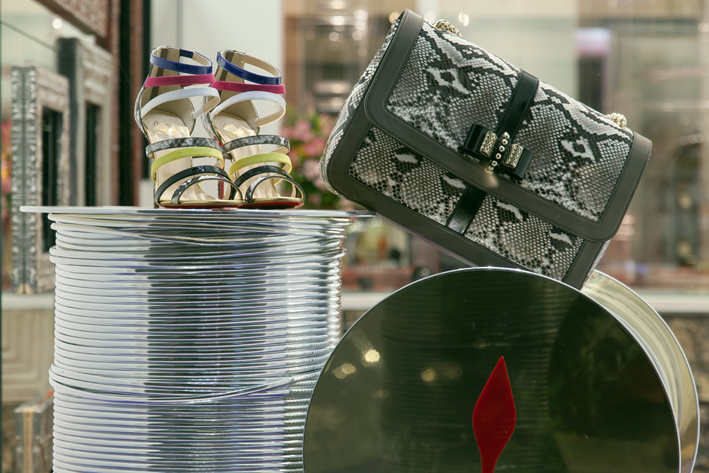 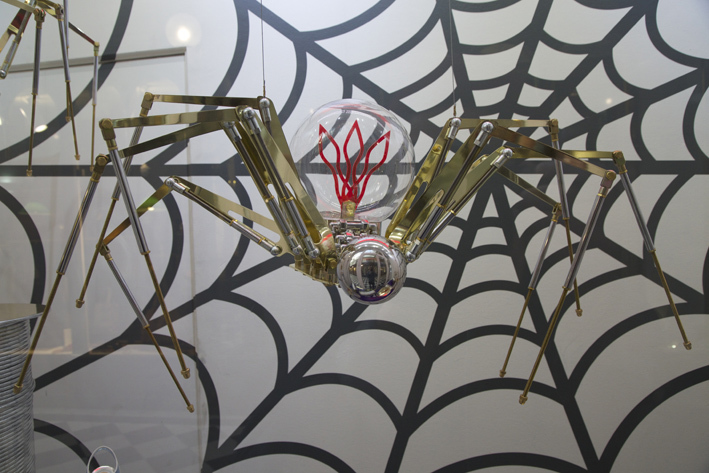 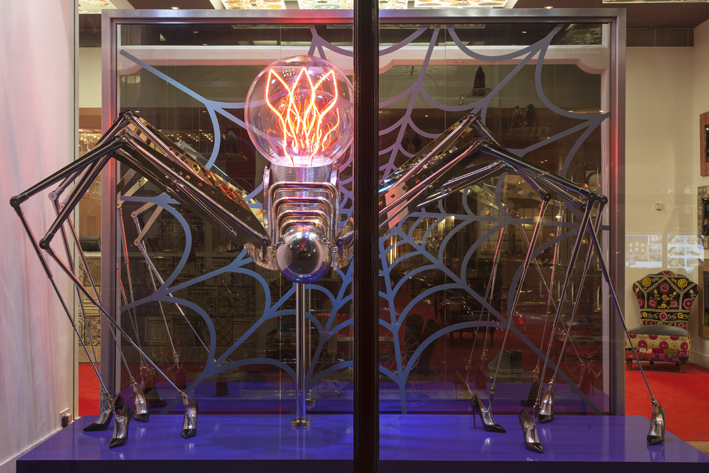 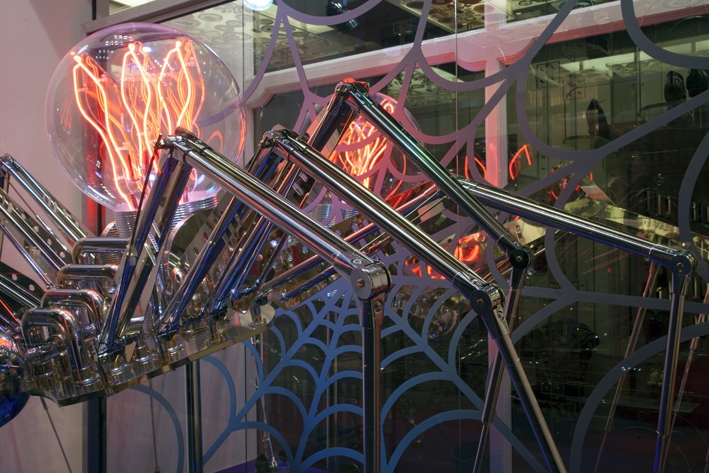 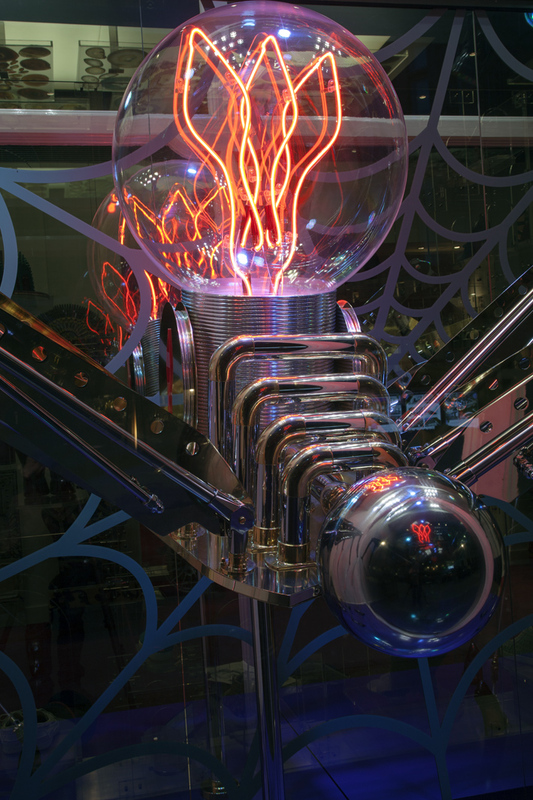 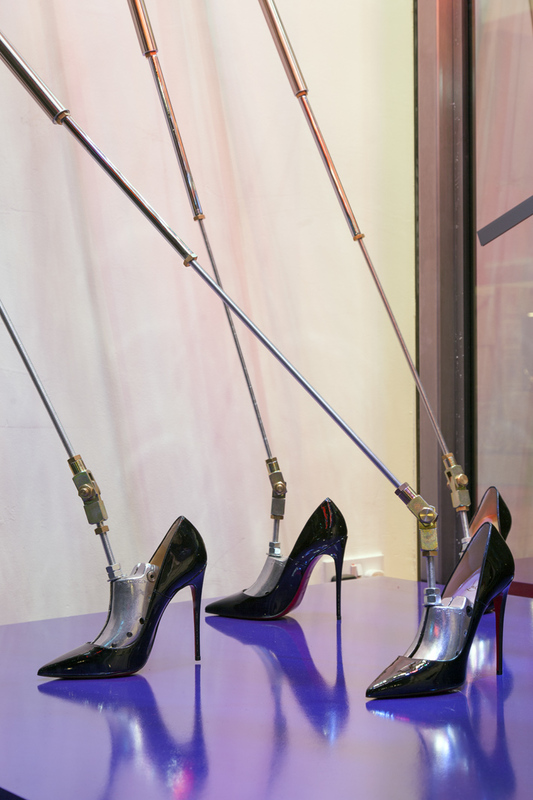 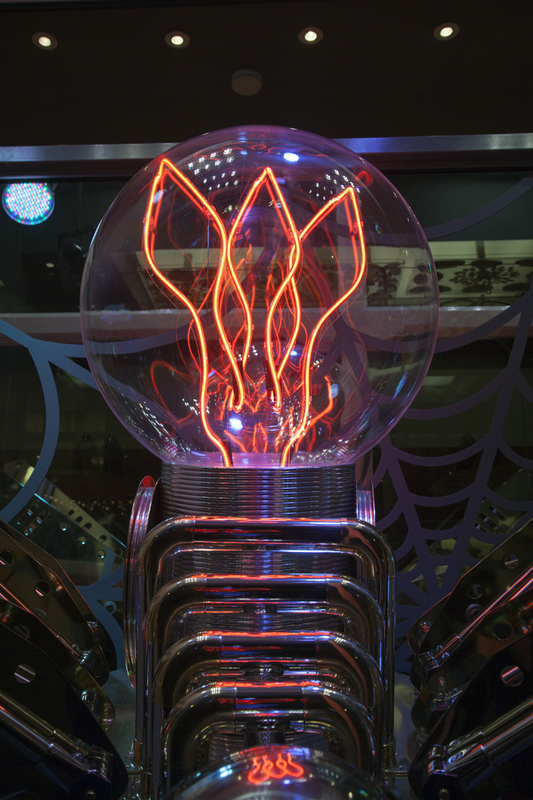 An enormous visible filament bulb made up from a triple Louboutin red sole logo in neon encased in a perspex sphere forms the main body of the spider fixed on to a chrome and brass core. 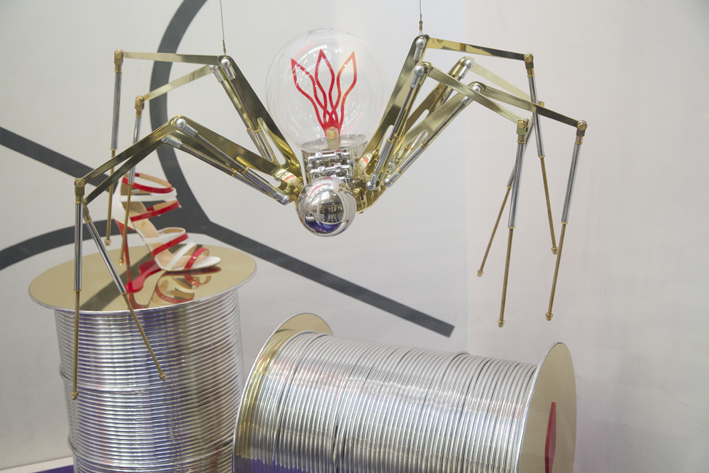 Bespoke brass plated elements mix with industrial fixings plated in chrome and brass and combine with playful product placement on the feet to form each of the eight legs. 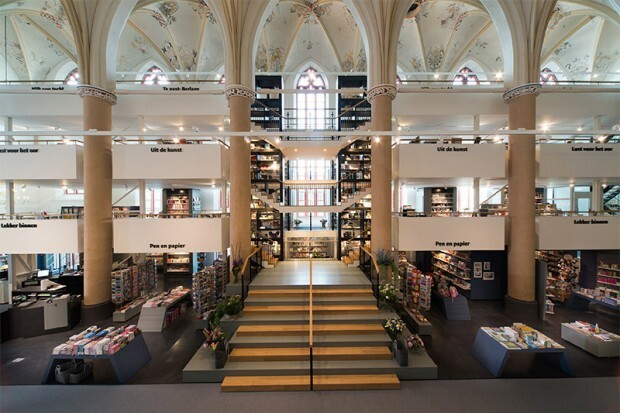 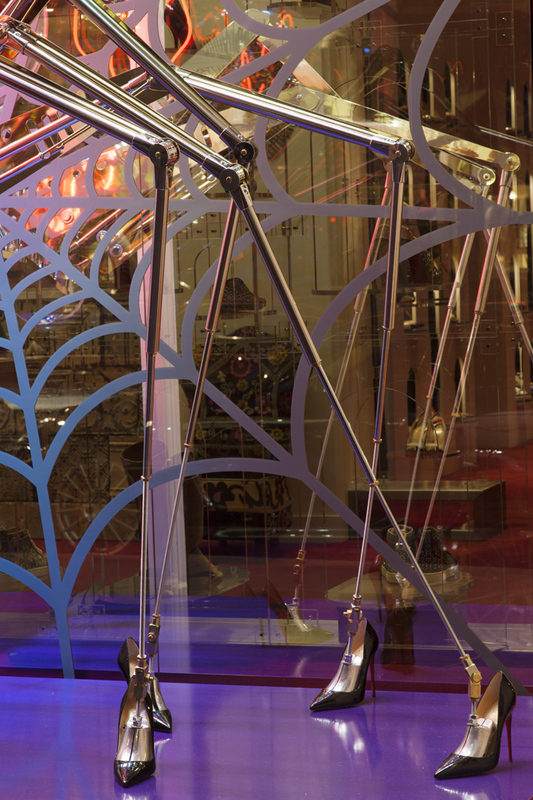 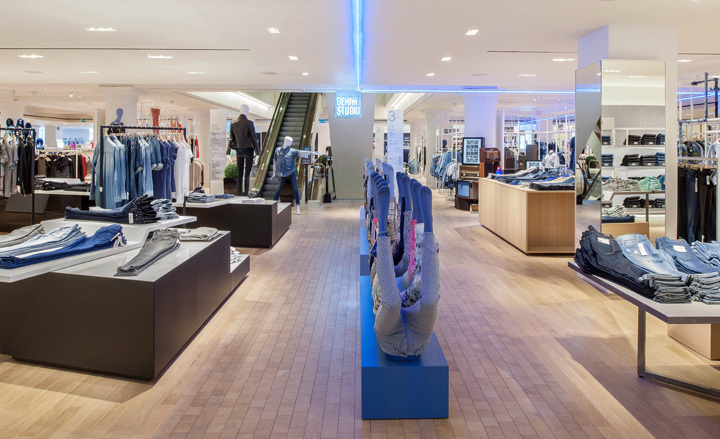 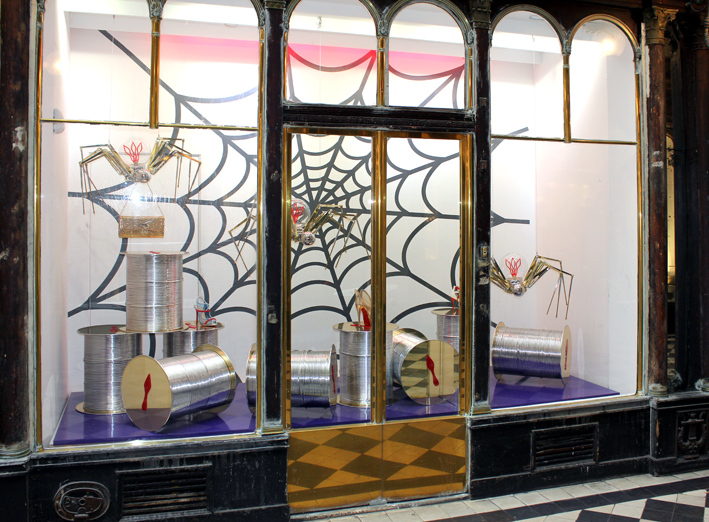 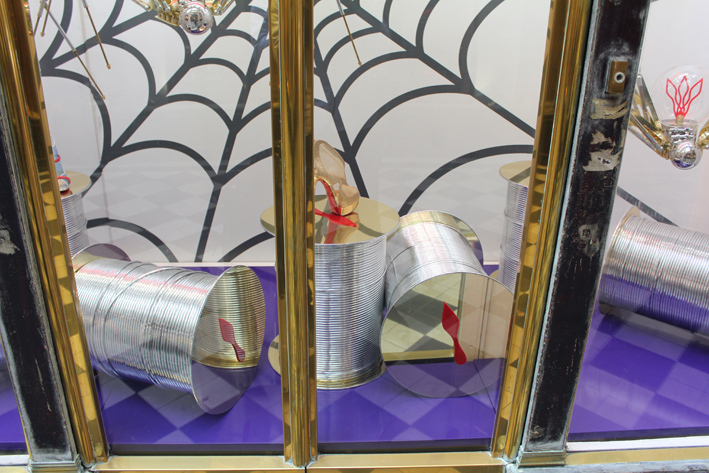 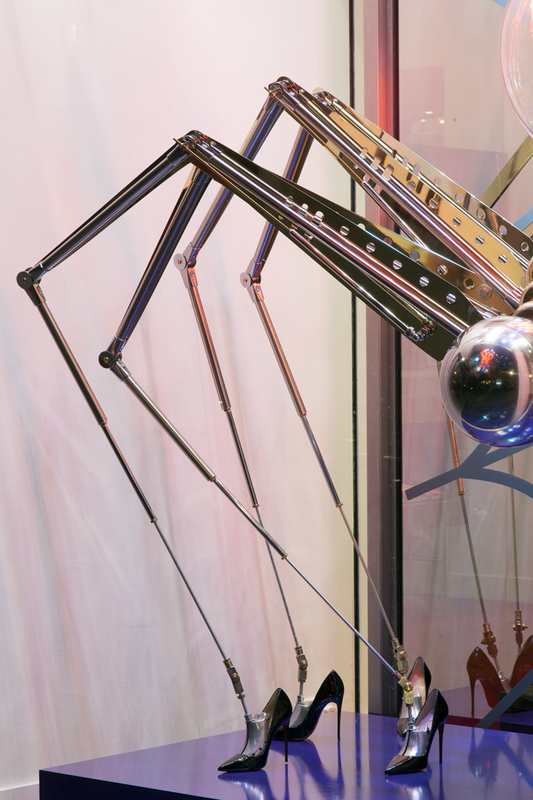 The spider is as intricate as it is beautiful, and the scheme also includes gold and silver web spools and dozens of other smaller and equally as intricate spiders across stores worldwide.